Astrid Stavro graduated with a First Class Certificate from Central Saint Martins College of Art & Design and with Distinction from The Royal College of Art in London, before relocating to Barcelona where she founded the award winning Astrid Stavro Studio. She has an international reputation for strongly rooted conceptual solutions and a clean, distinctive typographic approach. 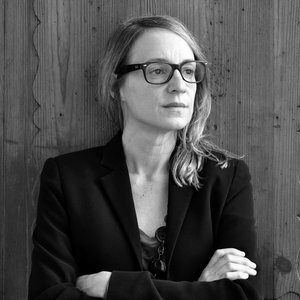 Her work has been widely published and exhibited and she is a frequent Jury Member in design competitions across the globe, including twice at D&AD. Stavro lectures in design conferences worldwide, writes for various design journals and is currently the Art Director as well as a contributing editor of Elephant magazine. The studio’s work has been recognised nationally and internationally with over one hundred creative awards including the Spanish Laus Awards, British Design & Art Directors (D&AD), The Annual (Creative Review), Design Week Awards, The International Society of Typographic Designers (ISTD), Art Directors Club of New York (ADCNY), Graphis, Type Directors Club of New York (TDCNY) and Art Directors Club of Europe (ADC*E). After ten years running her own studio, Astrid Stavro joined Pablo Martín (Grafica) in 2013 to create Atlas, a design agency based in Palma de Mallorca. They work for local, national and international clients from across the globe. Together, they sum more than 40 years of experience and are the most awarded design studio in Spain. She is a member of Alliance Graphique Internationale (AGI).